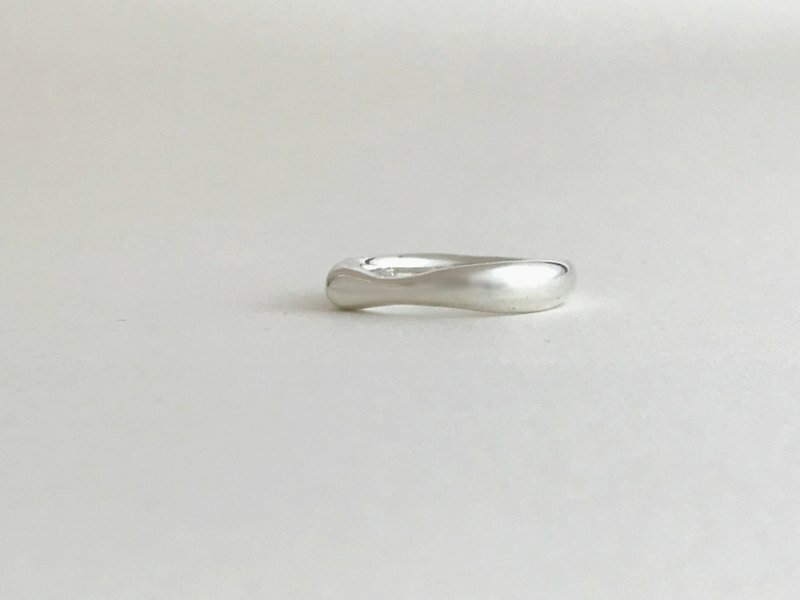 【Silver925】 Butter : ring　This ring is Silver color. Creative design + Simple design →So useful and it will make you more shine. Creative design + Simple design →So useful and it will make you more shine. ◇Materials Silver925（I can make this ring by another materials. Please, feel free to contuct us. ） ◇Specifications #7〜#17 ◇Please place your order after reading and agreeing with the notes below. ・Metal allergy, who plating is not suitable to your skin, please refrain from the order. ・Photo that is posted on the page, such as color and texture, so as not to a different impression from the real thing, but we have enough attention, depending on the monitor of the personal computer and mobile phone, slightly, in order to look different color, impression It might differ. The person who worried because I will receive question etc please contact us from the inquiry form before you buy. ◇Care Instruction ◇Care Instruction ・Please avoid wearing silver jewelry when taking a shower/bath, swimming, or using a spa or hot spring. Otherwise the silver will turn yellow over time and restoration will not be possible. ・If silver jewelry becomes slightly yellow in color, you can clean it with a solution made of baking soda and hot water（over80℃）. Soak the silver Jewelry and Aluminum foil （←Please,wrinkle-processed.）in the solution. Take out after a few minute and gently clean the tarnish off with a soft toothbrush or sponge. Finally rinse the silver with clean water and wipe dry. ※Please,don't use metal bowl and sticks.If you use it ,these won't clean up. ※Please be careful when handling hot water and we are not responsible for anyone's injury. ・To avoid oxidation, when not wearing, wrap your silver jewelry in tissue papers and put it in a plastic zipper bag. ◇　Product Packaging ・We will be wrapping this product in a box. ◇Shipping Information ・This is a "made-to-order" product. Production starts following payment, and takes approximately 20 business days. ・International e-packet Tracking number will be provided. ・After shipment from Japan, it will take approximately 7-10 business days for items to arrive. The delivery may be delayed for certain reasons. ◇Return/Exchange guidance Please tell me if you have any kind of trouble. We will be according to Pinkoi Return Policy（https://en.pinkoi.com/policy#~g）. In the event that a return is requested by the customer only unused and unopened items will be accepted for return. For returns/exchanges, please ensure that the product and packaging are returned in the same condition as you received them (including the product, packaging, accessories, free gifts, etc.). If any item is missing or the packaging is not in the same condition, returns or exchanges may be denied.